Norms impose obligations, permissions and prohibitions on individual agents operating as part of an organisation. Typically, the purpose of such norms is to ensure that an organisation acts in some socially (or mutually) beneficial manner, possibly at the expense of individual agent utility. In this context, agents are normaware if they are able to reason about which norms are applicable to them, and to decide whether to comply with or ignore them. 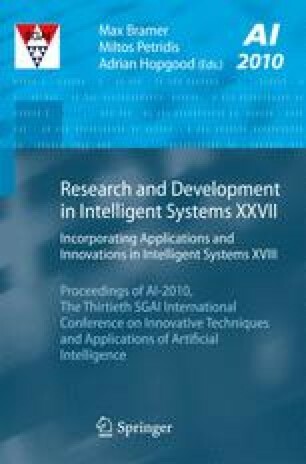 While much work has focused on the creation of norm-aware agents, much less has been concerned with aiding system designers in understanding the effects of norms on a system. The ability to understand such norm effects can aid the designer in avoiding incorrect norm specification, eliminating redundant norms and reducing normative conflict. In this paper, we address the problem of norm understanding by providing explanations as to why a norm is applicable, violated, or in some other state. We make use of conceptual graph based semantics to provide a graphical representation of the norms within a system. Given knowledge of the current and historical state of the system, such a representation allows for explanation of the state of norms, showing for example why they may have been activated or violated. The authors would like to thank the EU Agreement Technologies COST action for providing a STSM grant which made this work possible.